After months of uncertainty, Italy has got a new government. Italian political scene besides being very dynamic, seems to be the furious hotspot of Europe. However, the new Prime Minister of Italy has been appointed and the swing again started to cradle. What are the Italian macroeconomic indicators and could Italy become a new Eurozone crisis manager? 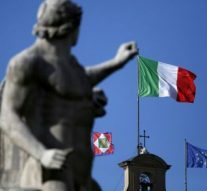 Italy’s power struggle is rattling global financial markets, with investors fearful that the looming prospect of fresh elections could be fought over the country’s role in the European Union and the Eurozone. Rome’s latest political crisis comes at a time of elevated tensions between Eurosceptic populists, who emerged victorious from the March election, and pro–EU establishment lawmakers. The Eurozone’s third–largest economy has been without a government since an inconclusive vote in early March. The last weekend, the anti–establishment political groups risked to undermine their efforts to form a coalition, after a dispute with the President of the Republic. The decision of Mattarella to appoint Cottarelli to form a temporary administration prompted the Five Star Movement (M5S) and the right–wing Lega to switch back to campaign mode. Both parties had already accused Mattarella of betraying Italy’s electorate by blocking Savona’s nomination as Minister for the economy. “Speaking as an economist, in the past few days tensions on the financial markets have increased… Nonetheless the Italian economy is still growing and the public accounts remain under control,” Cottarelli said on Monday. The prospect of another election in Italy as early as possible hit the European market, with the external observers suggesting that the move could delay a future populist government determined to renegotiate key euro zone debt agreements. In the spring economic forecast for Italy, issued by the European Commission, it is expected for Italian economy to slightly recover in the coming years. It is estimated that in 2019, Italy will measure a growth of 1.2% of its actual GDP. In 2019, the headline deficit is set to remain constant at 1.7% of GDP, under the assumption of unchanged policies and excluding the legislated hike in VAT rates. Revenues are forecast to benefit from the introduction of compulsory electronic invoicing for private sector transactions, while being slightly curbed by other measures like the fiscal incentives for investment. Expenditure growth is expected to slightly accelerate, partly due to small increases in social spending legislated since 2016. The structural balance is estimated to worsen by about ¼ pps of GDP. The debt–to–GDP ratio is expected to have peaked in 2017 at 131.8%, also due to public support to the banking sector, and to progressively decline to 130.7% in 2018 and to 129.7% in 2019, mainly as a result of stronger nominal GDP growth. What is happening in Italy is more a political crisis than a financial one. Mr. Draghi’s tools are helpful only when a country’s elected leader is trying to avoid crisis. They are of little use if a government truly wants to break away from the rest of Europe. Other European countries, especially powerful as Germany, will have little desire to subsidize what they view as fiscal profligacy in Italy. The push toward a greater economic unity across Europe since the Greek crisis has included jointly guaranteeing the continent’s banks and the E.C.B.’s purchase of government bonds. If there is conflict, both sides have reason to work things out. Germany and European institutions certainly don’t want a crack–up of the Eurozone. And within Italy, the economic consequences of peeling away from Europe — high inflation and lost savings in the near term and the long–term growth consequences from being a less appealing place for investment — are severe enough that there would be reason to strike a deal. Under the new agreement, the role of Foreign Minister will be given to Giovanni Tria, an economics professor at Rome’s Tor Vergata University who is “in favour of Italy’s continued membership of the single currency,” the BBC says. No crisis challenges are expected from the Italian side concerning the Eurozone in the future. However, having in mind the Italian political spirit, one could never be assured that the situation will be ever constant in the Apennine peninsula. « Previous Article The Italian Gas Market: What Future with the New Italian Government?